♦ Fixed an issue where the nutrition bar would not immediately update when feeding territories. ♦ Moved Destiny Board completion notifications further up the screen. ♦ Removed "mission completed" state from mission tracker UI. ♦ Made some improvements to fast travel and portal UIs. ♦ Increased T2 gatherer journal reward from 37.5 units to 38 (should now always level up a T2 laborer, before it would sometimes round down). ♦ Various improvements to Guild UI (member portraits now clickable, limited text field length settings, added a slider for Guild tax settings). ♦ Fixed an issue with the Caerleon loading screen. ♦ Fixed incorrect error when trying to mount while gathering. ♦ Only the Guildmaster and the Right Hand can now edit Guild description info. ♦ Removed incorrectly placed relic chest in Bellever Tor. ♦ Fixed some issues with territory and Guild member views getting stuck in the Guild UI. ♦ Fixed some edge issues in Caerleon. ♦ Removed incorrectly placed territory from Windripple Fen. ♦ Fixed an issue with some expedition mobs not correctly dropping silver. ♦ Fixed certain dungeons having the wrong icon on the map (solo dungeons using the group dungeon marker). ♦ Fixed some minor UI issues with splitting stacks. ♦ Improved readability of text for tutorial missions. ♦ Fixed crafting focus values for many enchanted resources. ♦ Fixed weight and nutrition values for various farm-related items. ♦ Destiny Board tracker now automatically resizes when completing the tutorial. ♦ Fixed focus values for crafting furniture. ♦ Made spell effect areas look nicer. ♦ Fixed an issue where achievement reminder icons in the Destiny Board tracker (the little "! "s) were not being removed when clicked on. ♦ Fixed waterfalls being silent. ♦ Adjusted volumes for fireplaces. ♦ Fixed an issue where some mob abilities were not correctly obeying their activation conditions (eg should only activate when player is in range but was instead activating always). ♦ Removed delay from Meteor's knockback effect, and it will now only be applied on impact. ♦ Fixed missing explosions for Meteor and Exploding Shot. ♦ Removed the ability for GvG mercenaries to kick people. ♦ Fixed an issue with the opening of the item details UI. ♦ Improved visuals of flails and hammers. ♦ Improved mission selection layout. ♦ Crafting equipment items will now attempt to fill existing equipped stacks before overflowing into the inventory. ♦ Crafting buildings now all have the same maximum nutrition capacity, but no longer start full (Novice buildings all start with 100 nutrition as before); nutrition is still not added on upgrade. ♦ Fixed an issue with incorrect map zooming when searching on a zoomed-out world map. ♦ Updated minimap icons for fast travel portals. ♦ Fixed an issue with "show only craftable items" filter not working correctly. ♦ Fixed an issue with Destiny Board info in 80% UI scale causing shaking. ♦ Improved the Undead General fight, including adding a new ability. ♦ Added crafting focus and learning points to character stats in the expanded inventory UI. ♦ Fixed an issue with Guild button in the territory attack details UI. ♦ Added a popup to explain how local banks and markets work. ♦ Fixed an issue with player buttons in the GvG details UI. ♦ Fixed a weird visual issue when attempting to use broken tools. ♦ Fixed some minor issues with the Black Market UI. ♦ When crafting equipment items, the default number is now 1 rather than the max possible amount your inventory could create. ♦ Highland Guardian should now be set up correctly. ♦ Reduced the danger level and power of Ancient Mammoth hide mobs from Elite to Veteran. ♦ Fixed an issue where inspecting another player did not show any mount they had equipped. ♦ Made it so you can click the target item when enchanting. ♦ Fixed visual issue when capturing monoliths in GvG. ♦ Fixed an issue with the display of inactive abilities when inspecting another player. • Hellrifts now spawn at a distance of 5m. • Most of his abilities now deal more damage. • Laser Sweep's beams now rotate around him. • Pursuit range is reduced from 80m to 30m. • Aggression range of portals and demons increased to 50m. • His knock-back will now also alert all enemies within 50m around all affected players (so be sure to clean up beforehand). • Cool-down until a new wave of demons is spawned from the portals has been increased to 10 seconds. ♦ Swapped position of "build" and "cancel" buttons in construction UI. ♦ Fixed an issue with display of reputation penalties and nametags. ♦ Fixed an issue with the Fury ability where it would only stack five times rather than 10 as intended. ♦ Fixed incorrect minimap colors. ♦ Fixed an issue where opening the Destiny Board could also issue a move command. ♦ Fixed numerous minor level-design issues, including invisible collisions and offset areas. ♦ Fixed various animation issues with farm animals and laborers. ♦ Improvements to various visual effects. ♦ Fixed an issue with partially full journals not filling correctly in conjunction with stacks. ♦ Fixed an issue where T8 resource nodes were being incorrectly reset to 1 unit after downtimes. ♦ Changed offscreen nametags in cities so they only show for GvGs and duels (which should improve performance). ♦ Moved half of the outland castles around to fit timezones better. ♦ Adjusted various elements of the Fungicide expedition to make it less unintentionally dangerous in a couple of specific locations. ♦ Kicked out a couple of T5 archers who'd snuck into Fishy Business, and hired T4 archers to replace them. 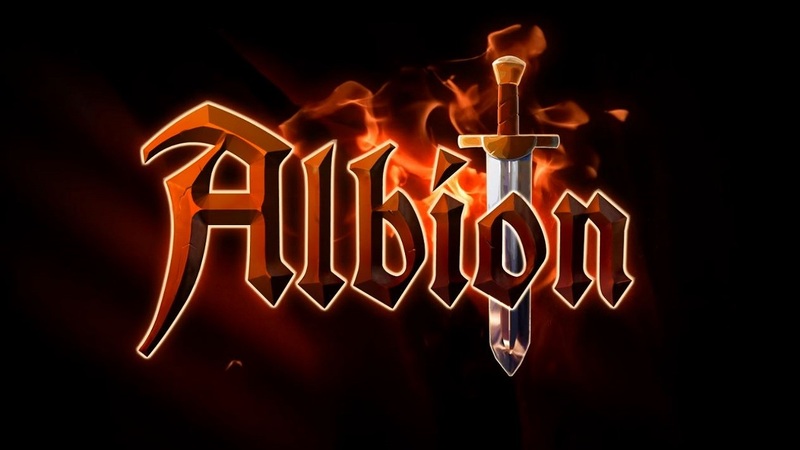 It's high time to download the new patch to fix these bugs and have a better gaming experience in Hector of Albion Online.